OVENTROP-Three-way diverting and mixing valve "Tri-CTR"
For use as diverting valve, the three-way valve has one inlet port (AB) and two outlet ports (A and B). 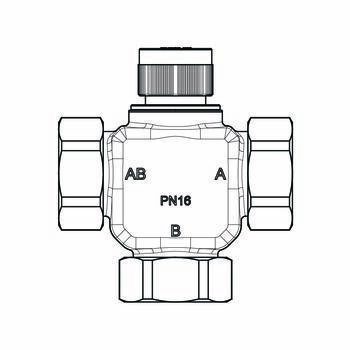 Depending on the position of the valve disc, the direction of flow is diverted from one to the other outlet port. 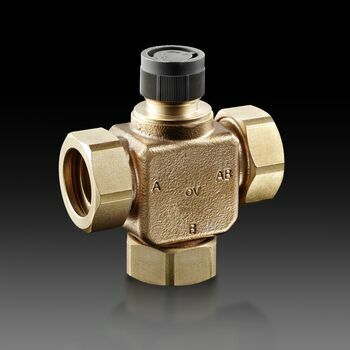 For use as mixing valve, the three-way valve has two inlet ports (A and B) and one outlet port (AB). 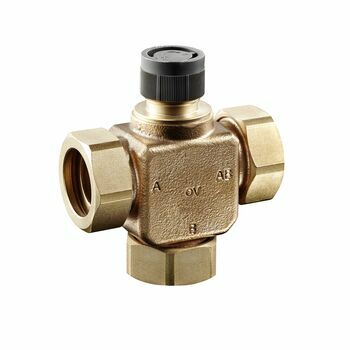 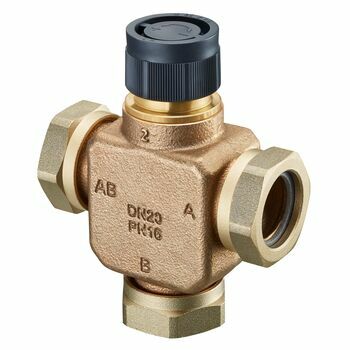 Depending on the position of the valve disc, the cold and hot water is mixed. 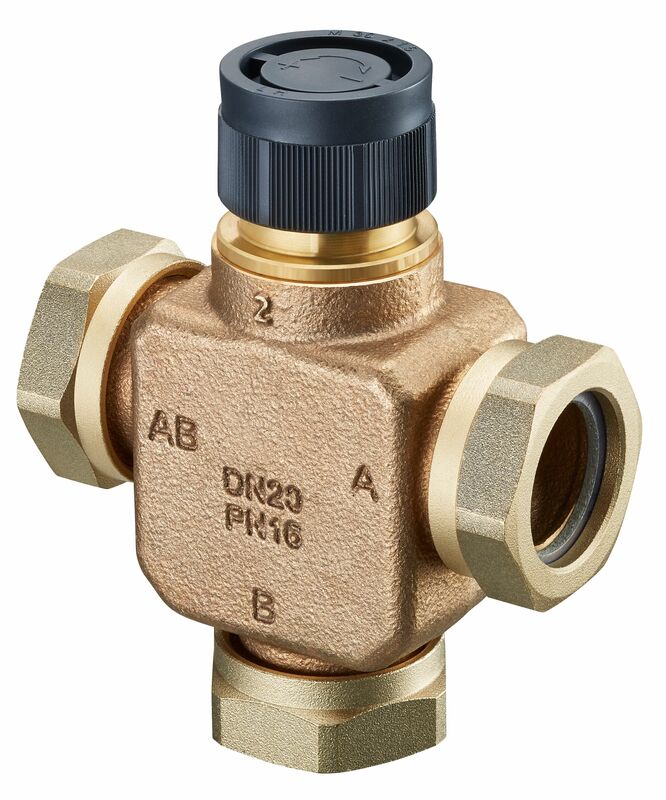 The three-way valve "Tri-CTR" can be used for high differential pressure. 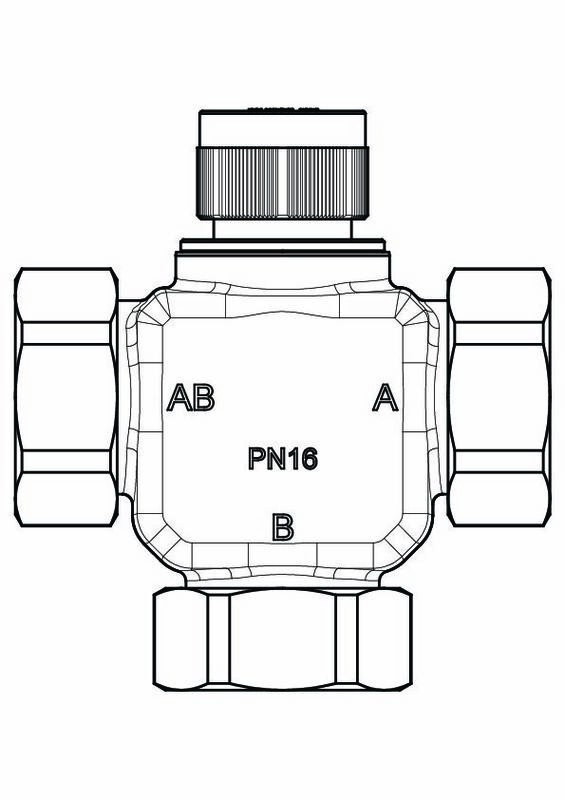 With collar nuts, flat sealing.